This was taken 3 days before my scheduled c-section, Pregnant with both sexs, Hadlei, Braedon.... i was told they both weighed 8 pounds each.... nov 23 was the day they were born, dec. 5 was my due date... Thank goodness i didn't carry them that long. wow!!! u look beautiful!!! amazing how great u look at 9mths! 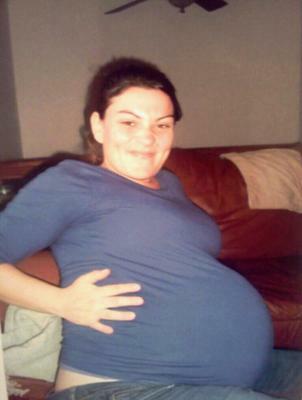 i was that size at 30 weeks with only one! !